Create a campaign to showcase the awareness of Genetically Modified Organisms (GMO’s) and to help the public reduce their intake of them within their food consumption. Used a food truck to display what GMO ingredients are, created a menu using organic ingredients and a takeaway of a cup with plant-able seed paper to grow an organic herb. 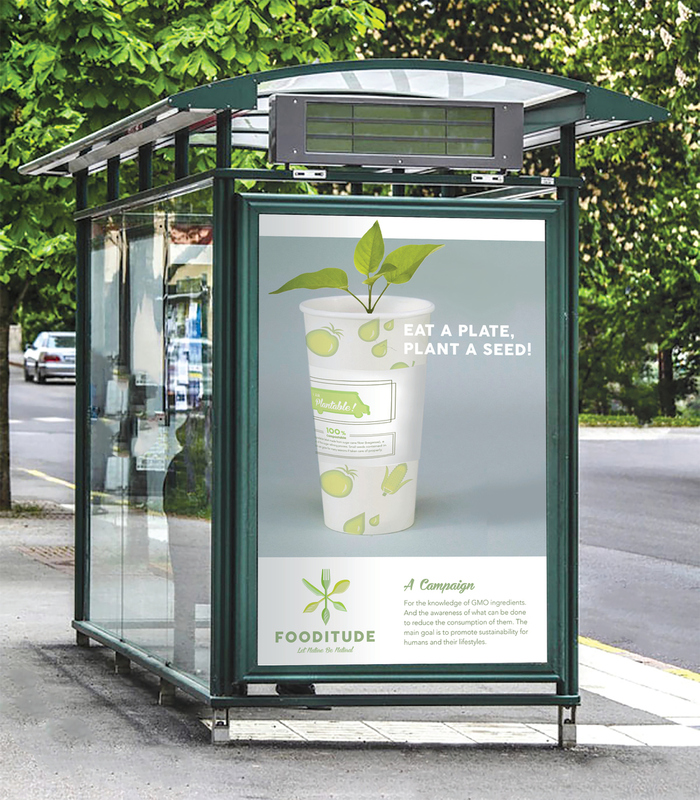 The design aesthetic is fresh and resembles a green approach to saving the planet because the campaign uses biodegradable materials.